This year, as well as the extensive Epic range we have introduced some smaller selection boxes to appeal to those who are on a tight budget or indeed would like something a little quieter. 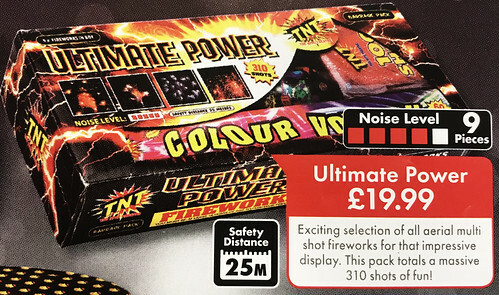 The hugely popular Ultimate Barrage Box by TNT fireworks was sold previously by Lidl for £19.99 so of course, ours is just £14.96. 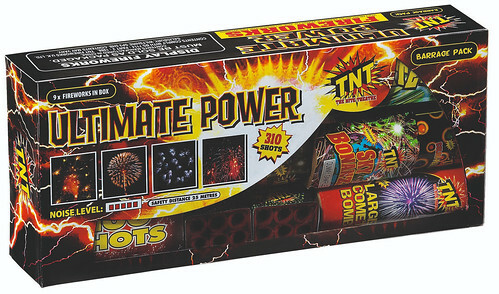 It contains 9 decent sized garden fireworks ranging from shot tubes to single effect smaller cakes and a couple of multi effect barrages. They emit a huge array of sound effects and colour and will suit anyone with a smaller garden who would prefer something a little less noisy.